It’s always lovely getting positive reviews, of course. 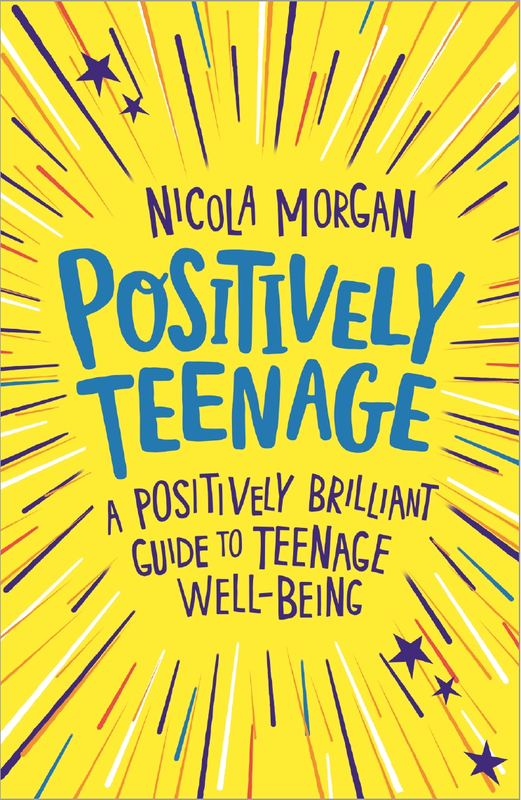 For me, the main reason I love it is that each good review is a bit of evidence to suggest that the book is achieving what I wanted: to help young people and the adults who care about them. 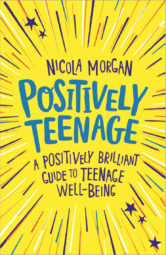 But this review of Positively Teenage, written by Dawn Finch, is a pretty special one. I know Dawn, as we’ve served on a Society of Authors committee together, and I know her well enough to know that she doesn’t praise where praise is not due and that she knows as much as anyone (and more than most) about books for young people and how they work and what they do. She’s the past President of CILIP (Chartered Institute of Library and Information Professionals) and an active library campaigner, standing up for books and readers. She’s also rigorous about her own research and knows how to interpret the research of others properly. Her review says everything I would have wished for in a review of a book which means a great deal to me. I particularly appreciate that she’s noticed that I don’t do sickly positivity clichés! *shudders* You’ll never find things like “Be the change you want to see” and “You can be anything you want if you only want it enough” in my books. No, you can’t be anything you want and going through life thinking you can do things just because you want to is a recipe for failure. You have to go through life knowing how to get better, how to try, how to keep going and how to try differently when you fail. You have to learn to know yourself, push yourself, make and hold friends, look after yourself. You have to know something about how your brain works so you can make it work better. You have to be prepared to take small steps to start big journeys, to fight for things along the way, to believe you can do more than you once thought, even if you can’t do everything. You have to learn when positivity is motivational and when it’s delusional. Yesterday I started a new book*. It’s daunting. I accepted a tougher deadline than perhaps I should. I’ve not made it easy for myself. [*News of this later, once I’ve signed the contract!] But I’m feeling positive. Not over-confident, because books don’t write themselves, but optimistic. I can do it. Not because I can do everything – I certainly can’t – but because I’m going about it in the right way, one step at a time, sensibly and bravely. And because this review came at just the right time, reminding me that there’s a reason for writing the books I do, a point, a motivation. If we don’t think there’s a point to what we do, it’s very hard even to try. So, we have to believe we might be able to, we have to know why we should try, and then we just have to start.